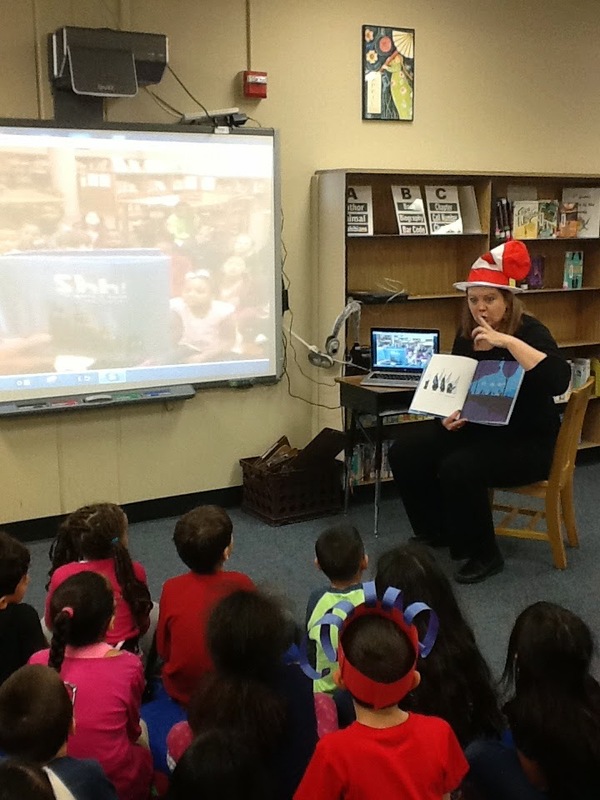 So last week, I wrote about how one of my students skyped with a few students from Maine. (read here). 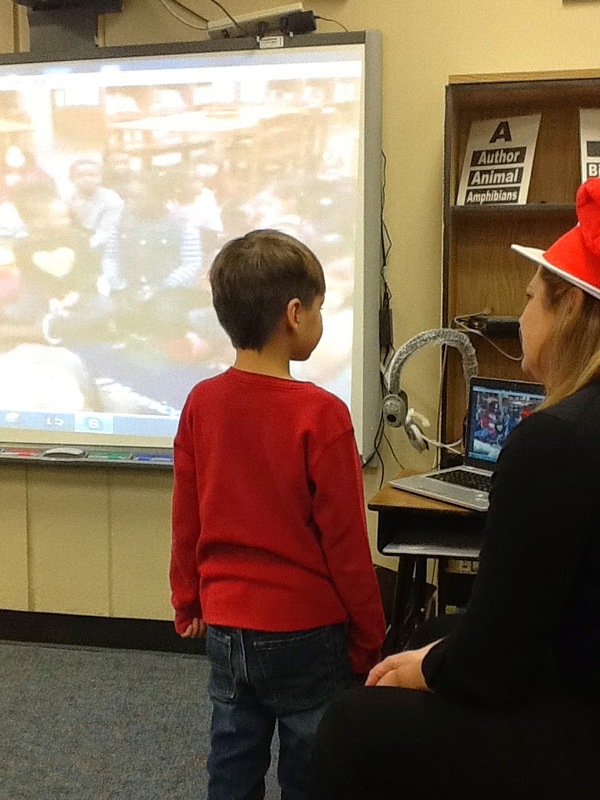 Today, after rescheduling from a Maryland snow day yesterday, a whole class was able to skype with another class in Maryland for World Read Aloud Day. I first heard about World Read Aloud day on twitter. I asked a few questions and a very nice librarian in Maryland named Mr. Winner answered my questions and volunteered to show me the ropes if I signed up on his schedule. He sent me the link to the google doc and you notice he is on p. 65. Yes, it goes on and on, teachers and librarians everywhere looking for schools to connect with for World Read Aloud Day (or Week). Mr. Winner and I discussed via twitter which book we would like to read and thought we were all set, until Mother Nature got in the way and cause a snow day in Maryland yesterday. Lucky for me, Mr. Winner had a cancellation for today and we were able to connect anyway. He had a 2nd grade class and I had a 1st grade class. After walking me though a camera glitch, we were finally connected! One of his sweet 2nd graders introduced themselves and told us a little about their school and then we did the same. We had decided that we would partner read Shh, We Have a Plan by Chris Haughton. He read a page and then I read a page. Then his 2nd graders took turns each reading a page of Hug Machine by Scott Campbell. We still had a few minutes so one of his students asked us a question and then we asked them a question. We said our "good-byes" and "thank-yous" and disconnected. Afterwards, the kids were full of questions about Maryland. I pulled a map up on the computer and showed them how far it was from Texas. Earlier in the year, we had talked about communication in the Colonial Times. That was a great thing to bring up again to talk about how that connecting like we did would not have been possible back then and that people had to wait weeks or months to exchange letters and news and here we did it instantly. I am so excited to connect some more and see how my teachers might take an interest in this. I know I am late to the skyping bandwagon, but I love the possibilities of connecting kids to other kids to talk about geography, parts of the world, books, research... the list is endless.